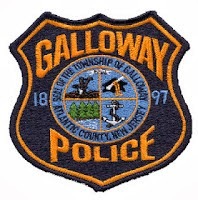 Galloway Township Police responded to 796 calls for service during February 16, 2014 through February 22, 2014. Additional statistics include: 2 Burglaries, 10 Motor Vehicle Accidents, 74 Tickets issued, 2 Driving While Intoxicated, 28 Arrests, 11 Domestic Violence, 8 Fire Calls, 104 EMS Calls and 0 Juvenile call. Suellen M. Cavallo, 67, of Galloway was arrested by DSgt. Donna Higbee for Fraud, Forgery and Theft during the week of February 16,2014. Joseph J. Brandenberger, 28, of Galloway was arrested by Ofc. Gary Brenner for possession of CDS, possession of more than 50 grams marijuana or hashish, aggravated assault, manufacturing/distributing CDS, and obstructing justice on Feb. 19th. Dennis M. Neeson, Jr., 37, of Galloway was arrested by Ofc. Vincent Ceci for driving while suspended for 2 DWI’s on Feb. 20th. Bonnie D. Hartwell, 47, of Galloway was arrested by Ofc. Ronald Gorneau for DWI and driving while suspended for 2+ DWI’s on Feb. 22nd. Patrice S. Redden, 33, of Vineland was arrested by Ofc. Vincent Ceci for DWI and possession of less than 50 grams of marijuana on Feb 22nd. Michael V. Kirkland, 24, of Pleasantville was arrested by Ofc . Kevin Costa for criminal mischief, possession of less than 50 grams of marijuana, and possession of drug paraphernalia on Feb. 22nd. Justin J. Chiaradonna, 27, of Brigantine, Jason D. Loveland, 37, and Kristopher W. Abbley, 35 were arrested by Ofc. Kerry Baerman for possession of CDS, possession of drug paraphernalia, and possession of hypodermic needle on Feb. 22nd.